About All Phase Home Solutions, LLC. We are professional custom home builders, in Eustis, FL, with exceptional design and renovation capabilities. We have unique talents for kitchen and bath remodeling, custom home building, custom carpentry, flooring, door installation, crown molding, closets, patios and decks, pool houses, and so much more. Our focus at All Phase Home Solutions, LLC is to provide superior workmanship at affordable prices without compromising quality. As a well-established and trusted contracting company, our firm has proved itself with many happy customers and a strong referral base. We have been in the contracting business for over twenty years. We started from the ground up, learning from old-school carpenters. With all this experience, the team has developed a keen eye for detail. Our home construction company serves clients across Lake County, Eustis, Mount Dora, Leesburg, Umatilla, Tavares, Yalaha, Howey-in-the-Hills, and Sorrento, FL. We are continuously growing as a company, are always open to learning, and this continual improvement sets us apart from our competition. In some case, it’s also the deciding factor for most customers. We love to make our client’s dream home come to life. Through the entire process your ideas, concerns, interests, and comforts are welcomed and respected. The real differentiator, however, is our dedication to quality services delivered at reasonable prices. We have trained ourselves vigorously to understand our customer’s wants and desires. Together with your inputs and our talents, we create beautiful homes that give out good vibes, and this aspect makes us second to none. 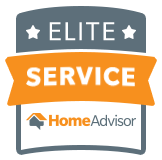 Over the years, All Phase Home Solutions has collected many accolades starting with being a Board Member of the HBA of Lake Sumter County, also a Houzz 5 Star Pro, Home Advisor Top Rated Professional, and an A rating with the BBB. Check out our reviews from our clients at www.allphasehomesolutions.com. These are the real highlights of our business. For all that we have received, we also believe in giving back to society, and as part of that belief, we proudly support the Mount Dora Babe Ruth League and the Mount Dora Christian Academy. For more on the things All Phase Home Solutions, LLC does for its custom home build, home design, and renovation projects in Eustis, FL, please click here. If you have any questions about how we can help you, we’d love to hear from you. Please contact us here.